This year's alumni weekend offered attendees much more than the opportunity to renew old acquaintances. Held on the weekend of May 2-3, the theme of collaboration and interprofessional education was much evident on Saturday. Faculty and students from the University's College of Education and Rehabilitation (CER) attended the Penn Del AER Spring Vision Conference in April. 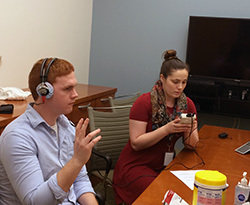 On April 7 and 9, faculty and students from the University’s optometry and audiology programs collaborated on a pilot program with the Veterans Administration (VA) and two area community colleges that was designed to identify and remove potential barriers to the educational success of student veterans due to undetected problems of vision, hearing and balance. 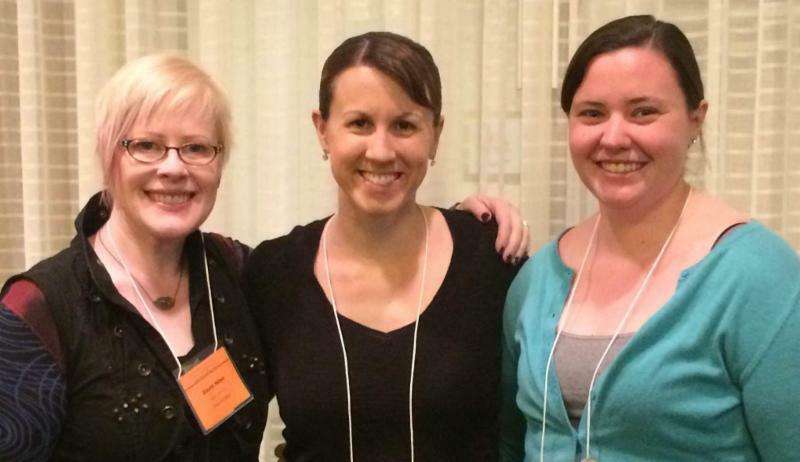 The University's Occupational Therapy department was busy presenting and learning last month at the American Occupational Therapy Association's (AOTA) national conference in Nashville, TN. Last month, the University's Physician Assistant (PA) Class of 2016 joined with six other area PA programs to compete in the annual Physician Assistant Olympics, a fundraiser where each school competes by raising money for a select charity.